JAP W/W is a water washable deep red coloured liquid penetrant for use in penetrant testing processes. JAP W/W uses a Hydrocarbon carrier fluid with additives to give a high level of inspection integrity and increase the 'searching' properties of the dye. 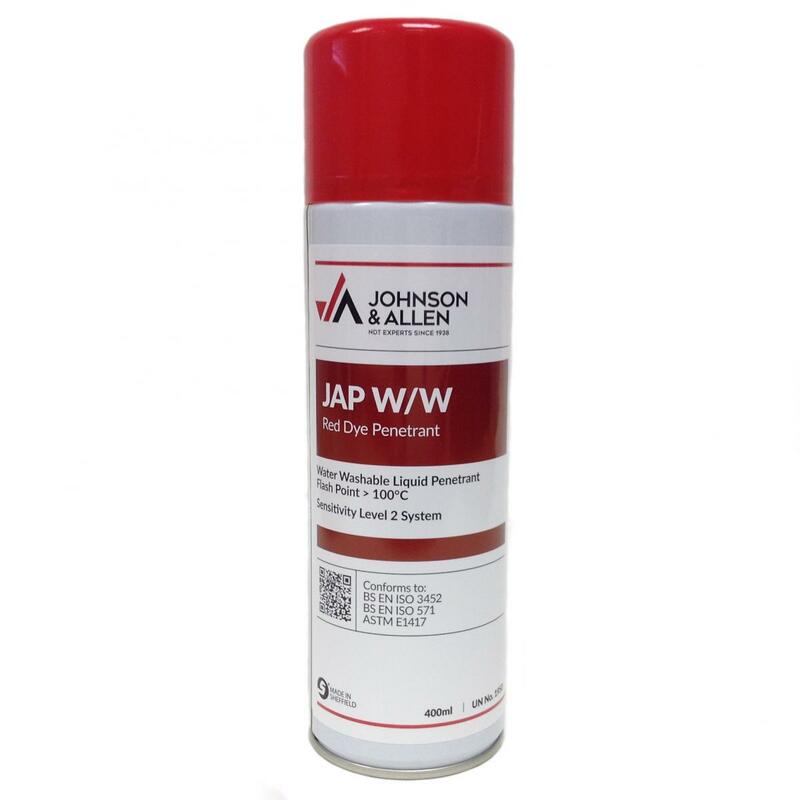 JAP W/W should be applied to clean, grease free components and any surface coatings should be removed prior to inspection. JAP W/W is ideal for the inspection of welded fabrications, pressure vessels, structures, pipes, castings, forgings, non-porous ceramics and many other non-ferrous and ferromagnetic components. JAP W/W aerosols use a CO2 propellant which gives an excellent active product to propellant ratio when compared to liquid propellants like Butane, Isobutane and Propane. Available in 400mL aerosols and in 5L bulk containers.